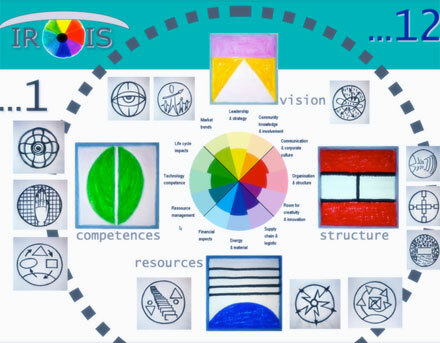 The „sustainability business navigator“ supports with colors and symbols all the levels of action of an organization. Using an internal questionnaire it is possible to create the organizational circle, and it is possible to identify the areas of the circle where more attention and work is needed within the organization. The advantage of this tool is the complete visualization of the organization in a compact form, and the possibility to go into detail in its key areas. Then it is possible to decide which competences are needed to bring the organization back to balance. We accompany you in this process in a targeted and competent manner.